Hello everyone! I hope y'all are having/had a lovely Sunday. I went to church this morning, took a small nap in the afternoon, and had frozen pizza for supper while watching BOTH the Michigan basketball game & the Detroit Red Wings hockey game. Yeah, we love sports in our house. Anyhow, I have two outfits to share with y'all today. The first is what I wore to church, and the later is my after-church outfit. Yesterday Gabrielle, me, and our Mom went shopping and we stopped off at our favorite thrift shop, Simply Chic. I really stumbled on some great finds there! 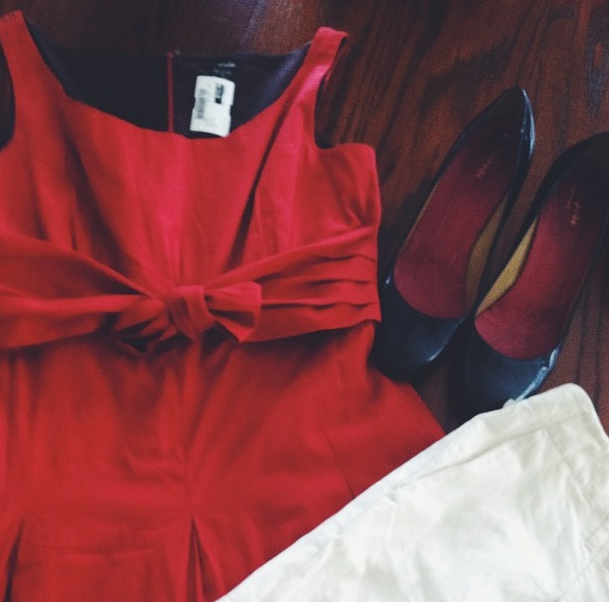 I picked up a red sundress by Viola [which is sold at Anthro] for $8; a pair of cream/white shorts by Ann Taylor Loft for $9.60; and some Navy Pumps by Kate Spade for $16 [the ones that I wore to church today]! My mom spotted the Kate Spade heels, as she is a sucker for heels [well...all of us girls are] & noticed the brand right away. Discovering that they are too small for her, she come over to me and asked what sized I wore for heels and shared the wonderful news with me. To say the least, I'm thrilled to own a pair of shoes by Kate Spade, as she is one of my favorite American designers. Here is a picture of my haul from Instagram. 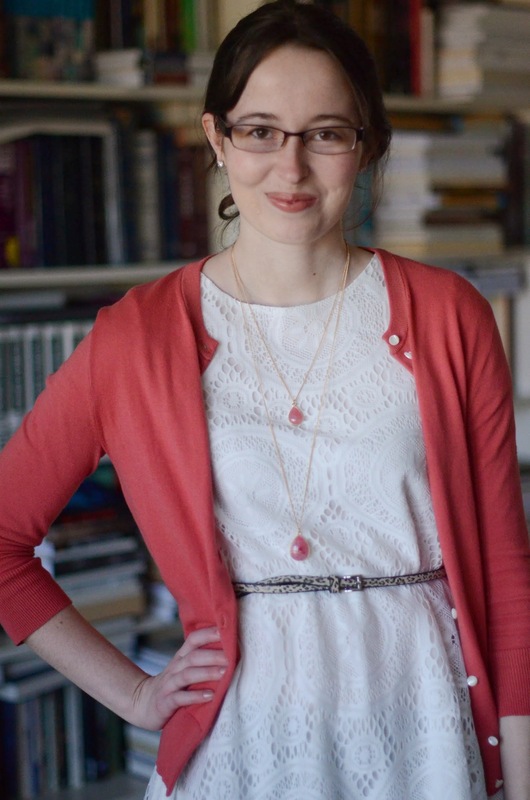 Linking up with Plane Pretty for Sunday Style. Cute! 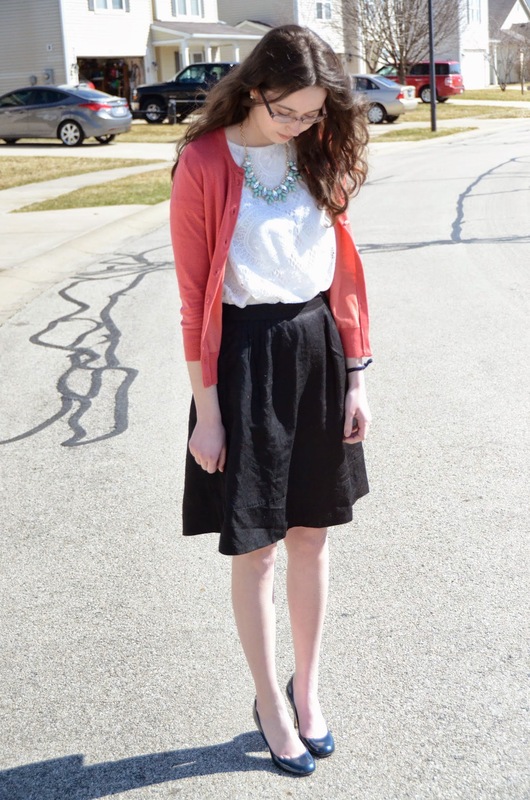 I LOVE your after-church outfit! Love the sweater and tunic! Beautiful! Such classy outfits! 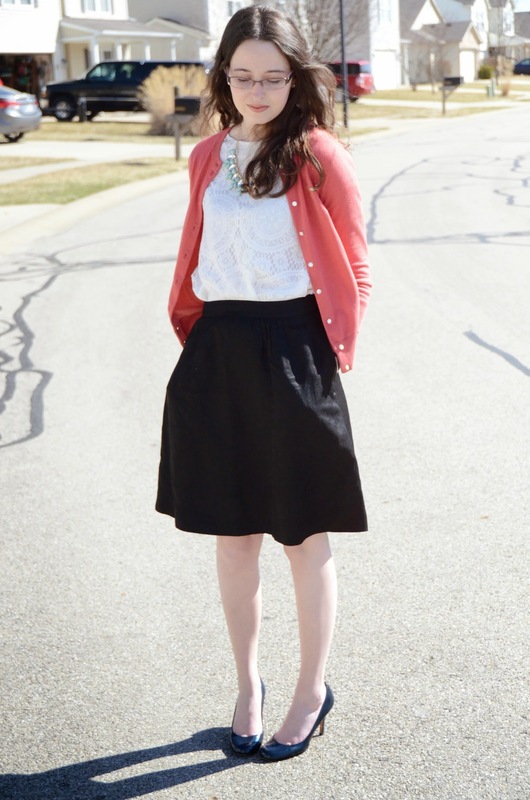 That Mad Men inspired skirt looks fabulous on you! I love both of these outfits Ashley! 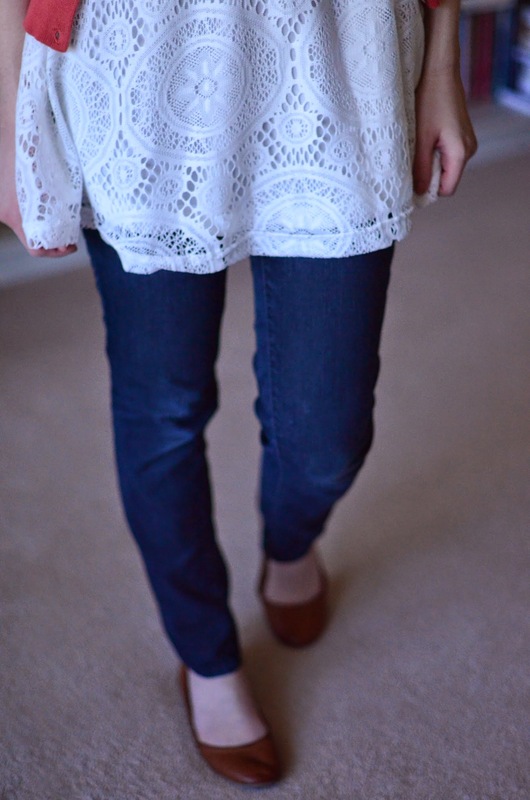 It's neat how you transitioned the lace tunic from something dressy to an outfit that was more relaxed. 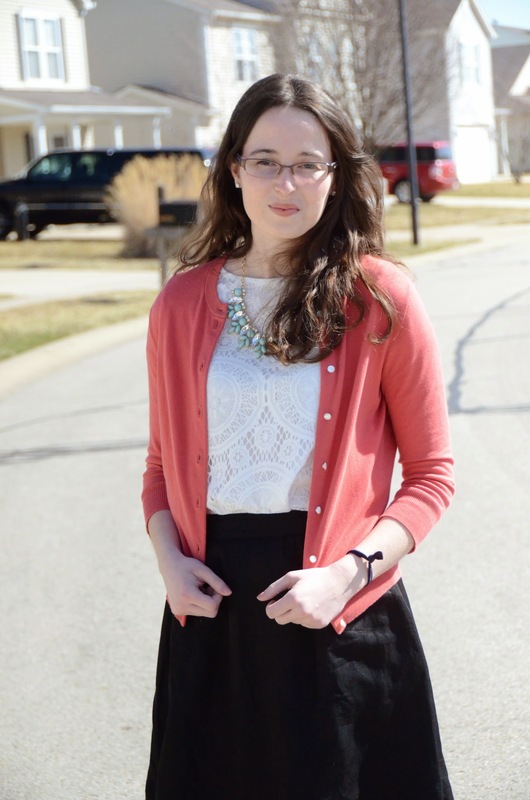 I actually wore a coral cardigan to Church too yesterday! What fun! Looks like a great shopping trip! I'm really bad about about coming home from church and slipping into my pjs-in my defense, it's usually 5ish by then...ok...sounded better in my head! Lol! Both of this outfits are simply lovely! :) It looks like you got some super thrift store finds too; what a great price on the dress!